Why does the earth revolves* around the sun? If it did not it will fall in to the sun. 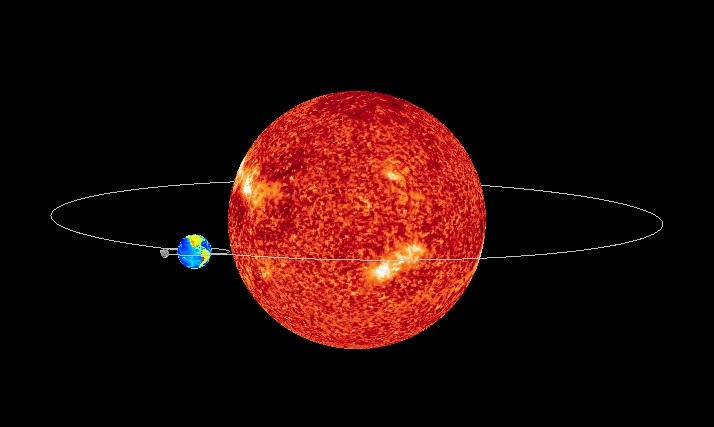 There are two balancing forces acting on earth when it revolves around the sun. Where #M_1 and M_2# are mass of two interacting bodies, #r# is the distance between the two and #G# a constant. In our case, one is the sun and other earth. Centrifugal force is a 'fictitious' force that appears to act on all rotating objects and is directed away from the axis of rotation. where #m# is the mass of rotating object, #r# the radius of circle of rotation and #omega# its angular velocity. These two forces balance each other and keep the sun-earth system in equilibrium. *in the question 'revolves' is preferred word as earth 'rotates' around its axis.